The AWS Service Delivery Program identifies and endorses AWS Partner Network (APN) Partners with validated customer experience and a deep understanding of specific AWS services, such as Amazon Aurora, Amazon Redshift, and Amazon EC2 for Windows. Please join us in congratulating these top 8 APN Partners on achieving AWS Service Delivery Program designations in October. Each follows AWS best practices and has proven success delivering AWS services to end customers. 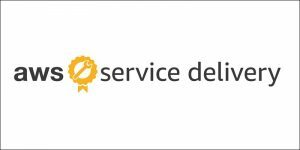 To receive an AWS Service Delivery designation, APN Partners must undergo service-specific technical validation by AWS Partner Solutions Architects, and complete a customer case business review. This validation gives customers complete confidence in choosing service-experienced APN Partners to team up with. TekStream’s in-depth knowledge of the AWS ecosystem, combined with architecting and expertise in enterprise applications, allows them to put organizations on the right path to run their workloads and applications on AWS. Cloudwick enables enterprises to gain competitive advantage from open source, big data, cloud, and advanced analytics. They provide architecture, development, and managed services. Public cloud is a game-changer for most companies. Anexinet has the expertise to help customers navigate their journey to the AWS Cloud, from infrastructure and applications to analytics and machine learning. Axian assists customers in intelligently moving Microsoft applications and infrastructure to the AWS Cloud. They review and design your solution to increase efficiency and scalability and minimize costs. dbSeer helps AWS customers utilizing Windows EC2 to get the most out of their platform. Their AWS- and Microsoft-certified engineers migrate data platforms to Windows EC2, and build analytical platforms on Windows instances. Insight implements intelligent technology solutions that help businesses run smarter. They can migrate Windows workloads from existing architecture or infrastructure to AWS to optimize cost and performance. Rapyder allows AWS customers to focus on their unique business value. They utilize combined expertise of AWS solutions and Microsoft to help organizations deliver quality solutions on Windows EC2. Processor envisions and integrates solutions that revolutionize business productivity. They have experiecne providing infrastructure with Windows EC2 instances. The key value of the AWS Service Delivery Program is to build customer trust by helping organizations identify APN Partners with relevant service knowledge and experience. The AWS Service Delivery Program is a validation program that identifies and endorses APN Partners with validated customer experience and a deep understanding of specific AWS services. These top APN Partners follow best practices for implementing AWS services and have proven success delivering AWS services to end customers.